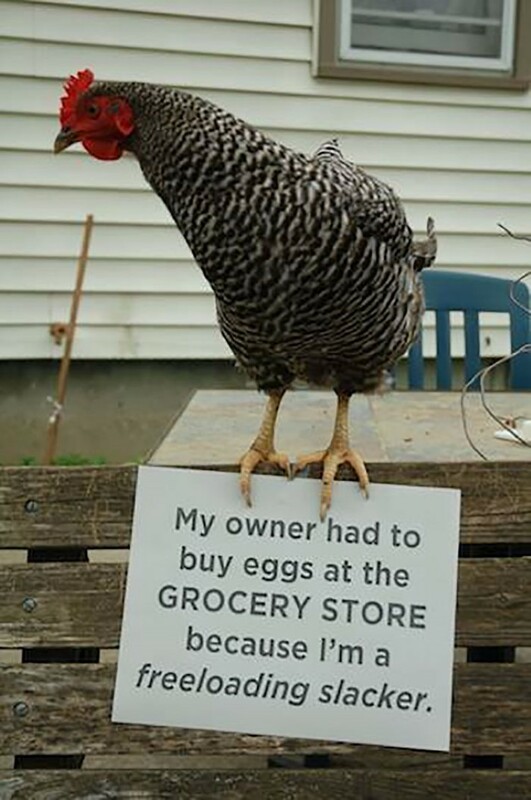 Most people are not very familiar with chickens, at least not on a personal basis. 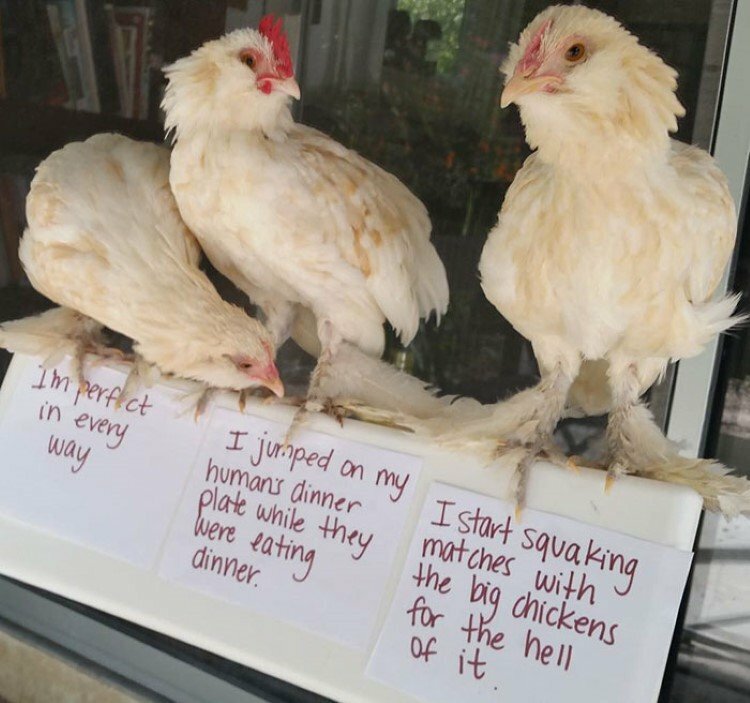 For those who grew up on a farm or perhaps have had chickens as pets, they realize exactly how awesome they can be. 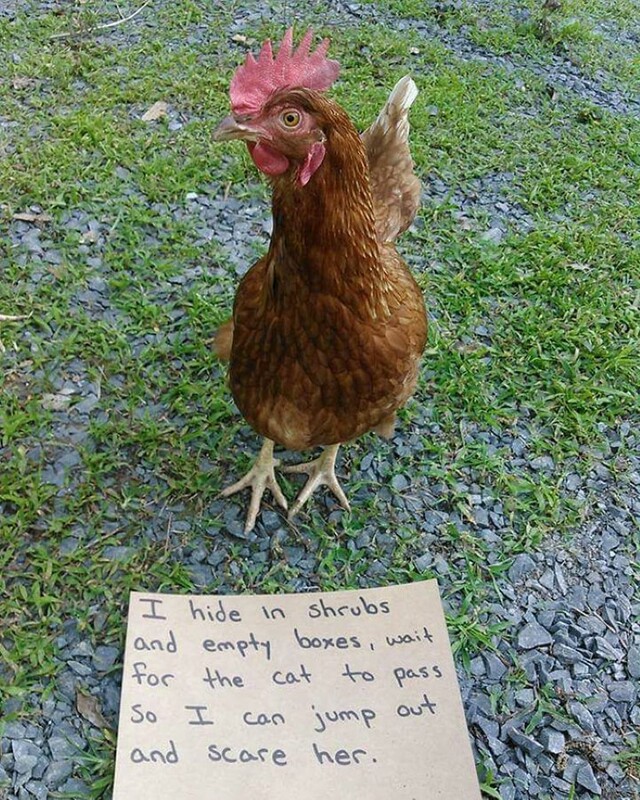 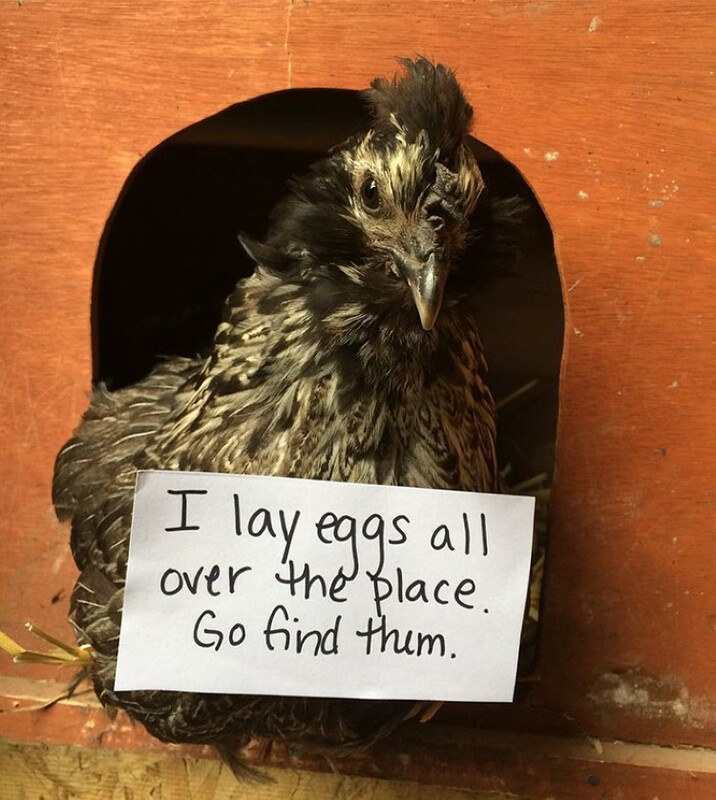 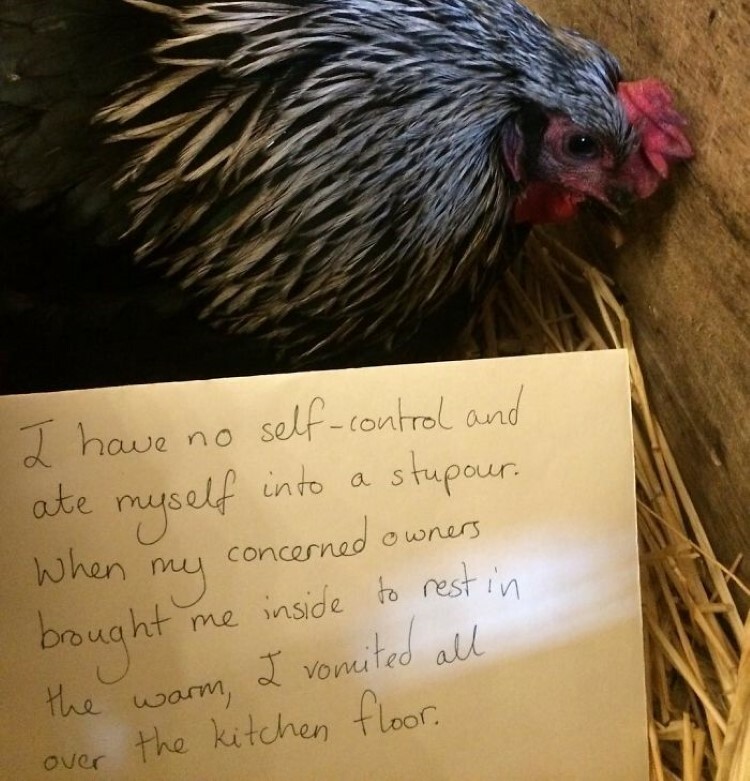 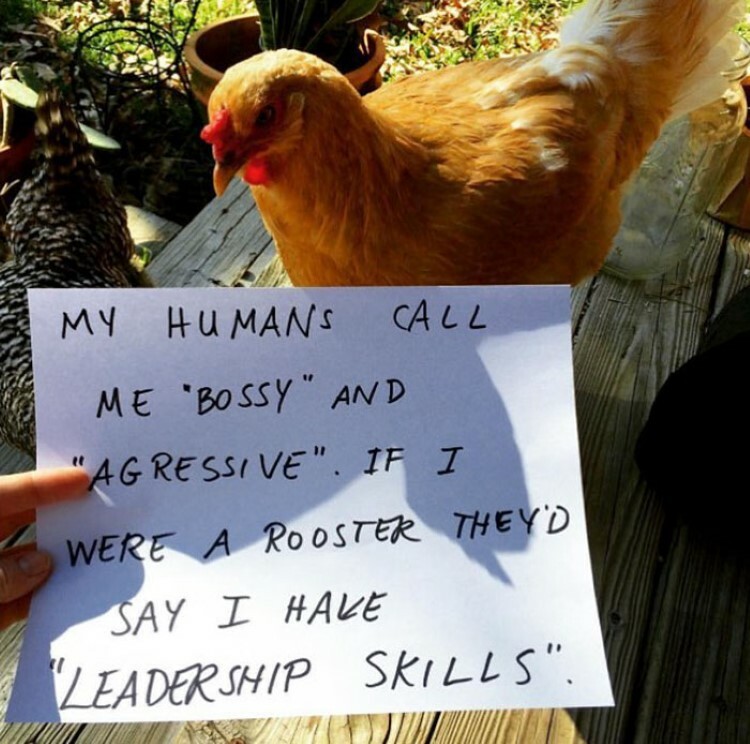 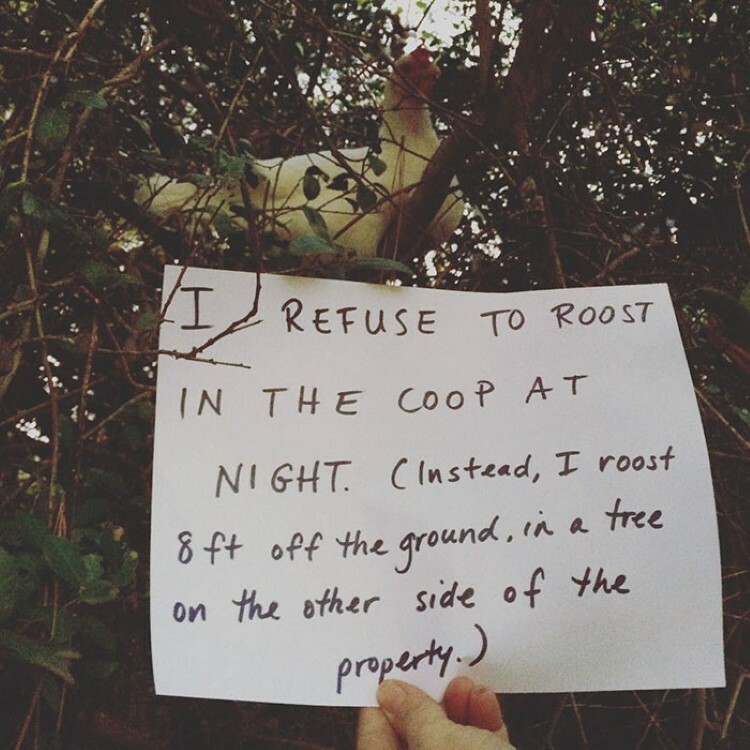 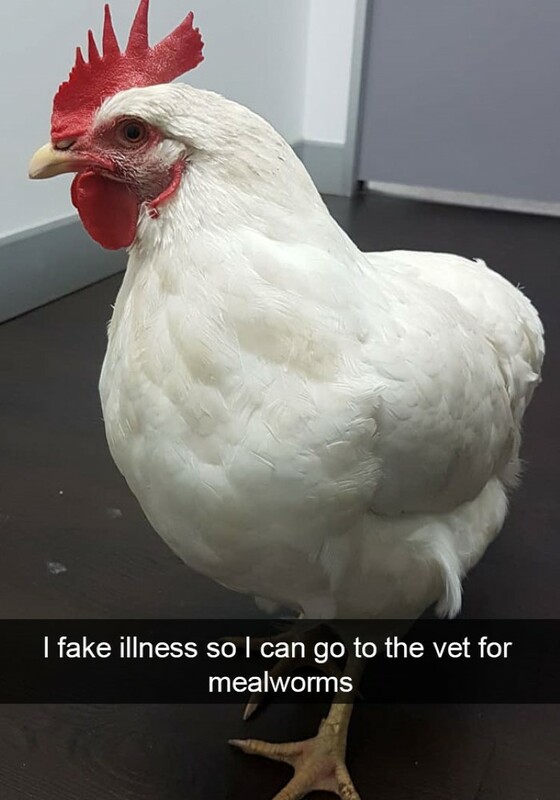 Chickens are also very smart animals, meaning they can get away with a lot if they really try. 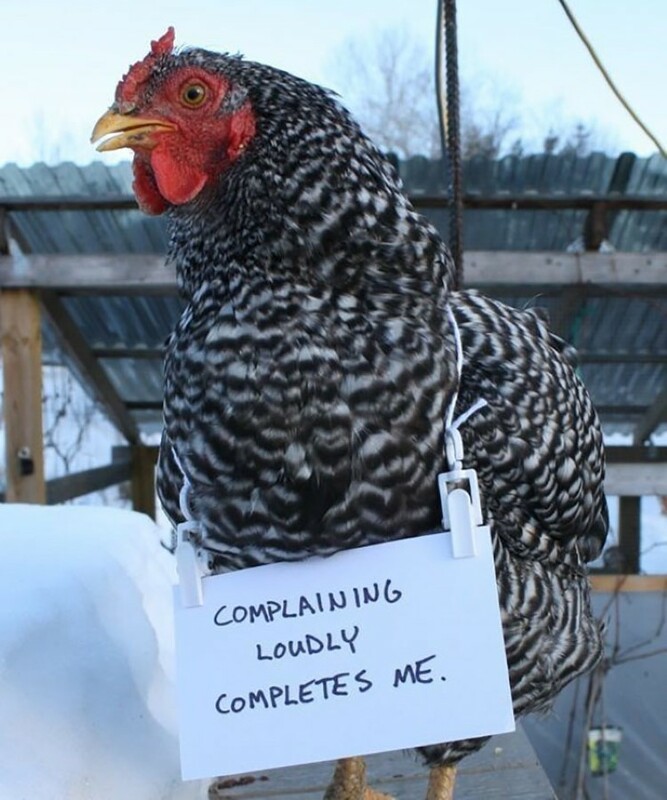 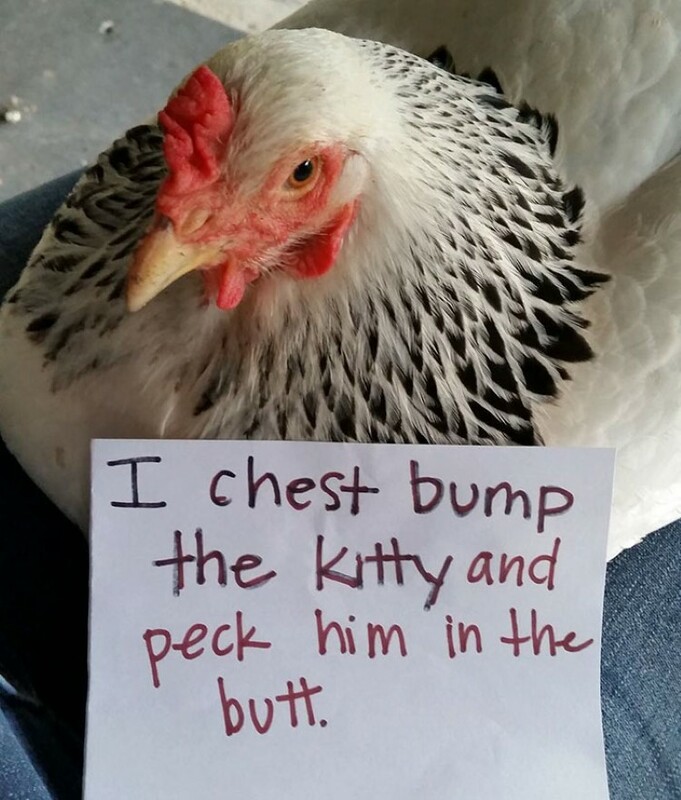 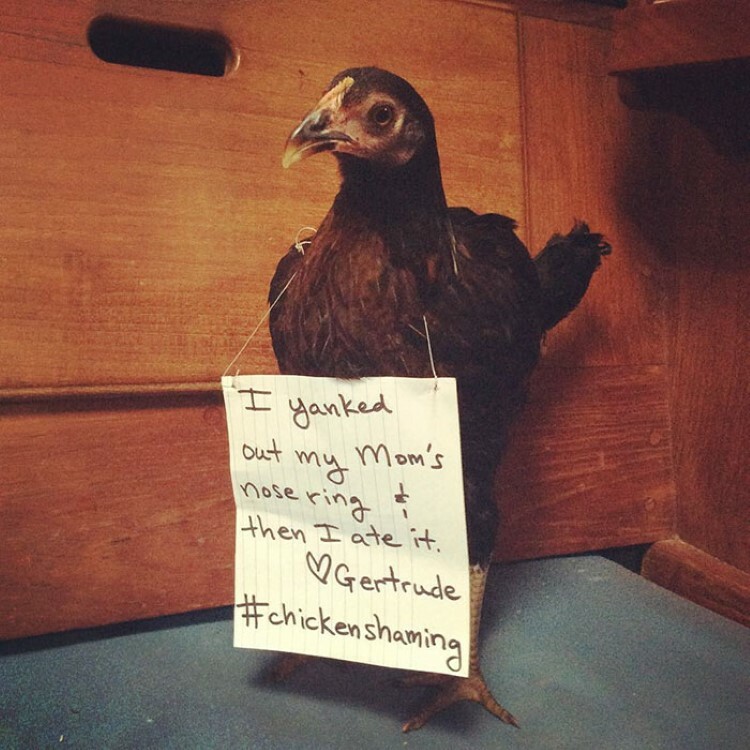 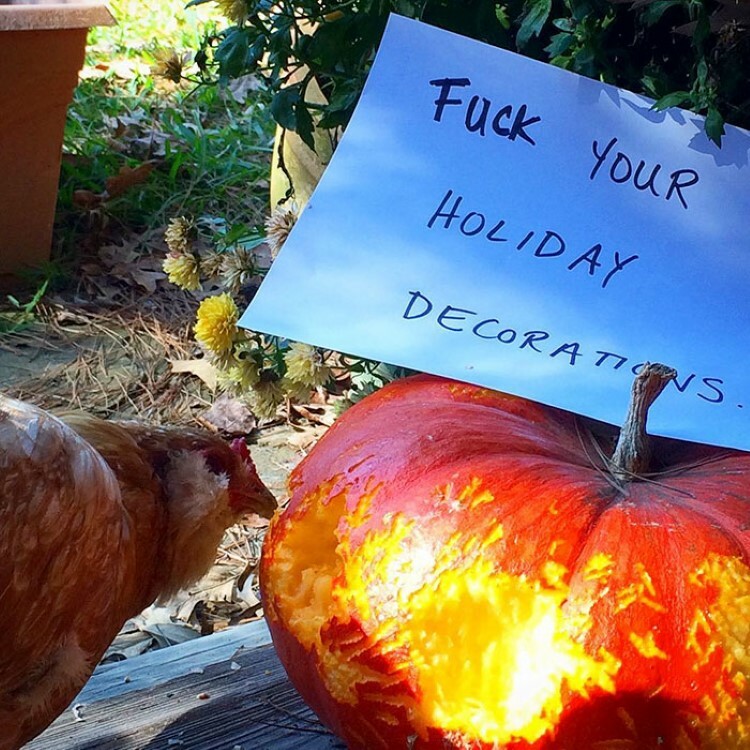 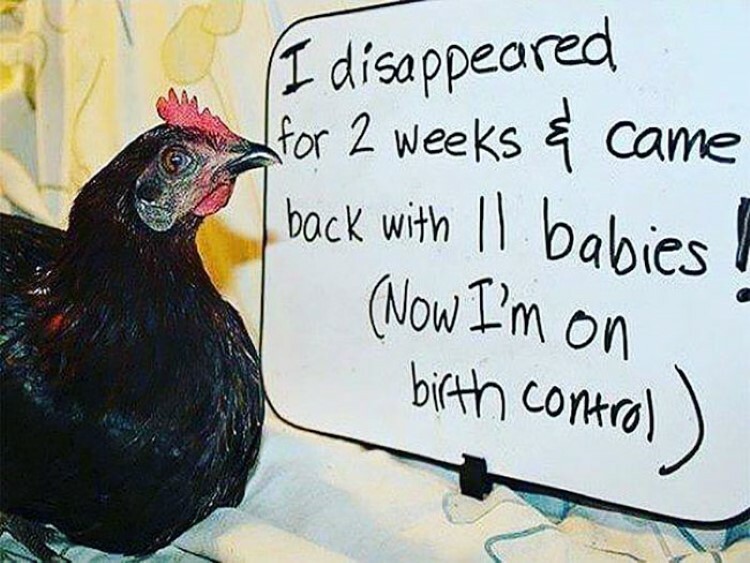 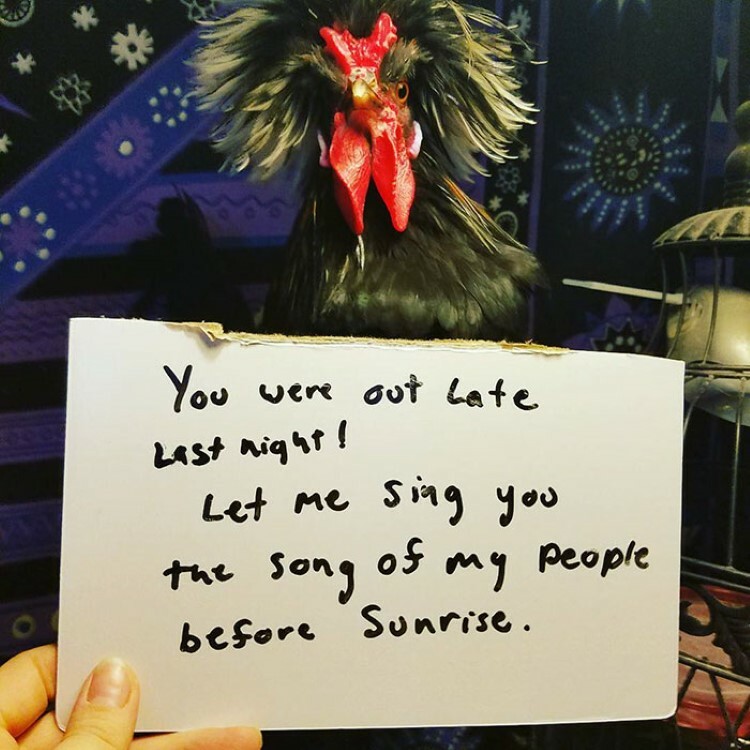 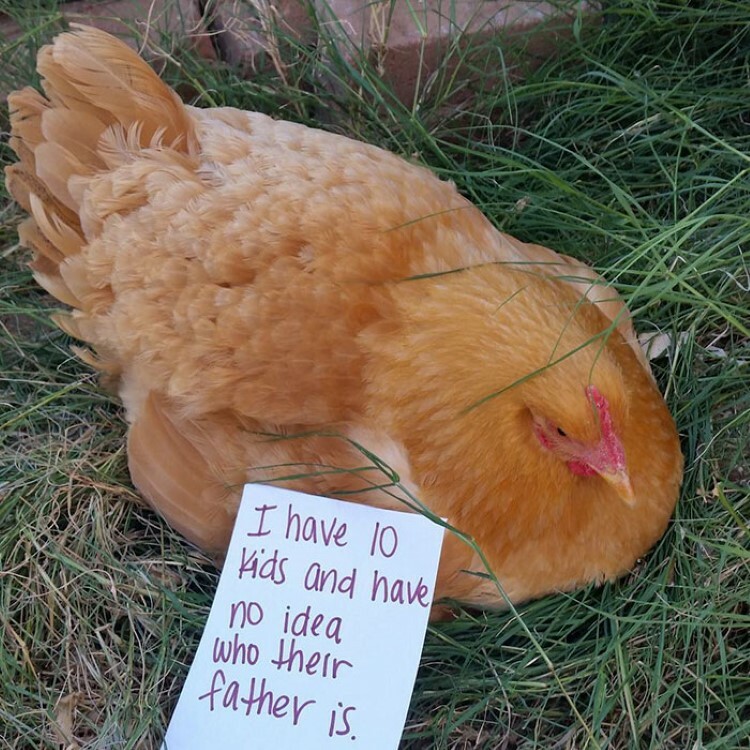 From time to time, however, chickens get busted by the humans and the results can be hilarious. 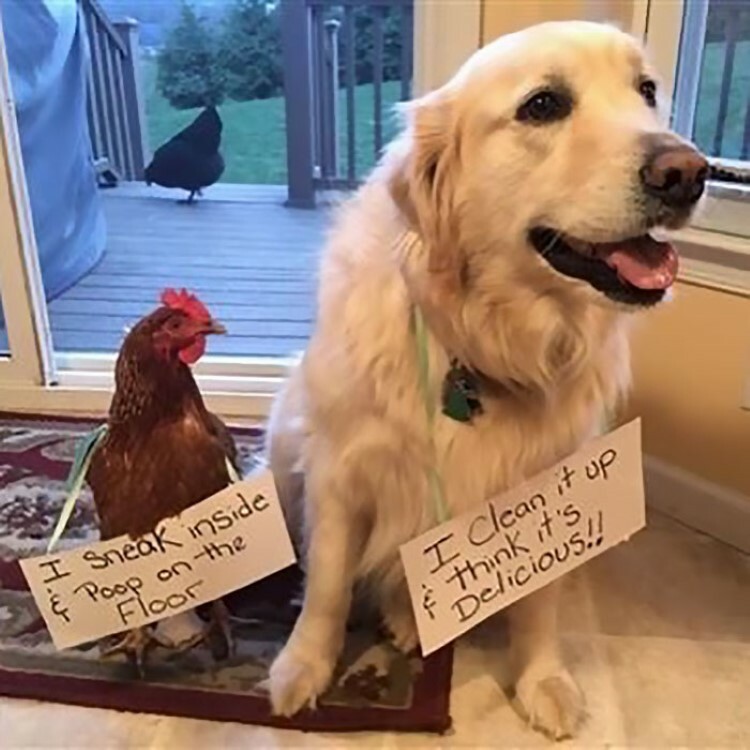 More than likely, you have seen some “dog shaming” pictures online and have laughed at the situations. 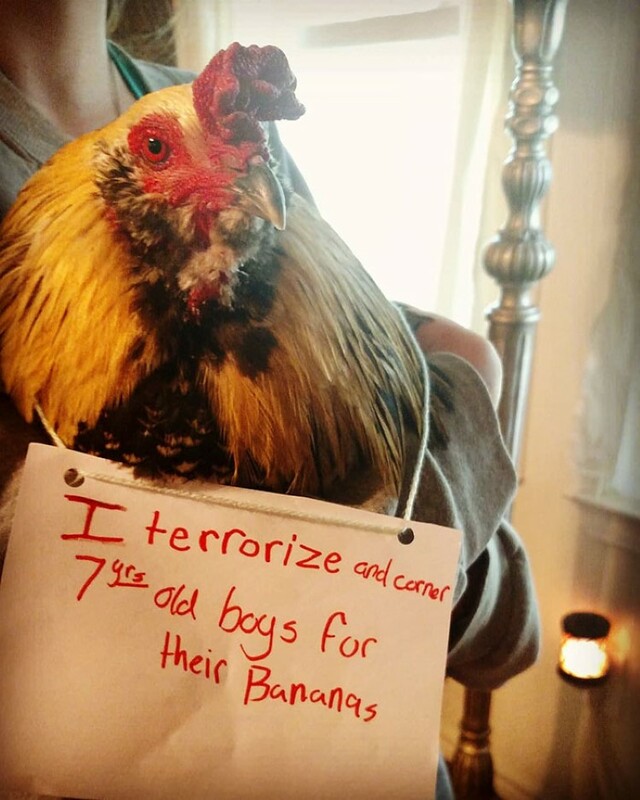 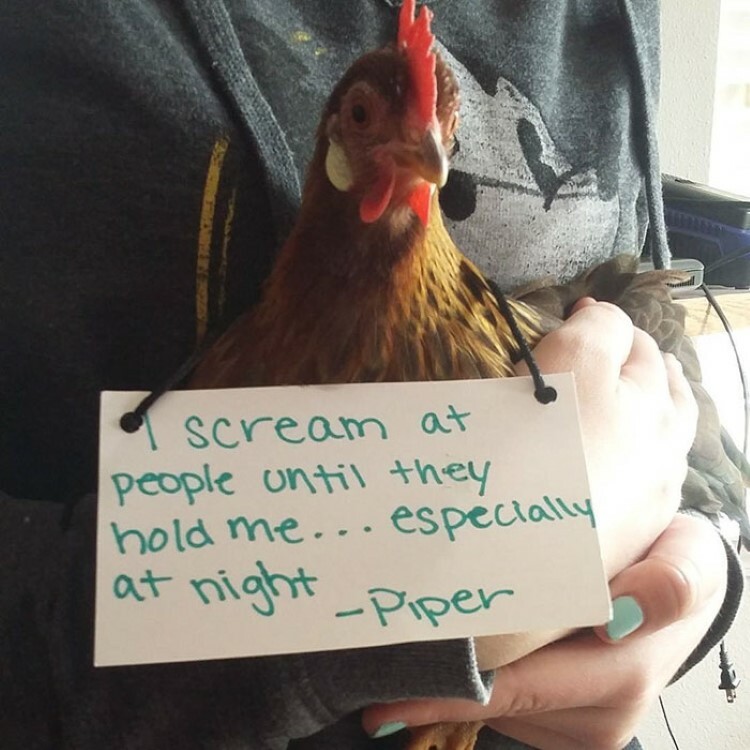 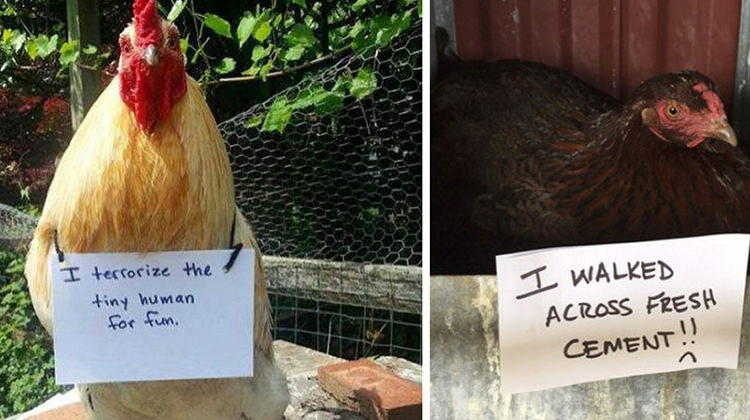 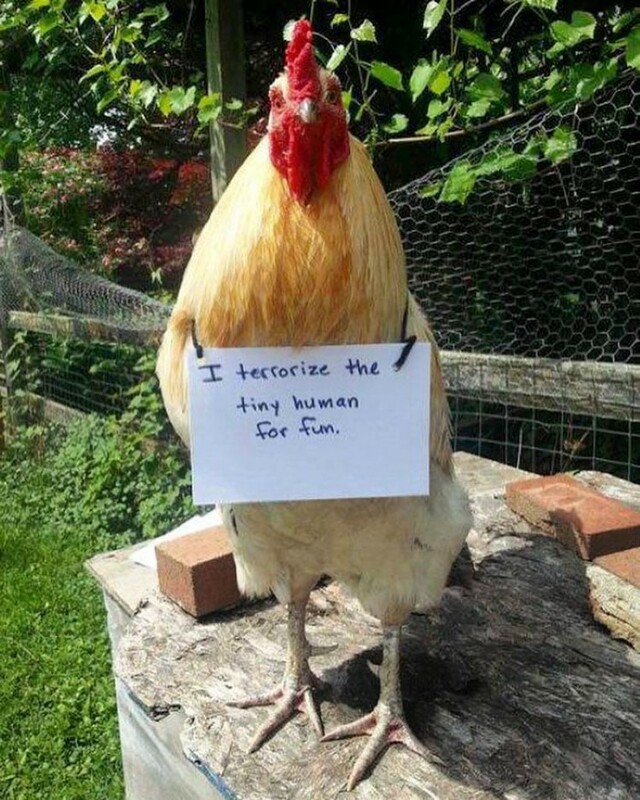 If you thought those pictures were funny, just wait until you see what these chickens owners are doing to their animals. 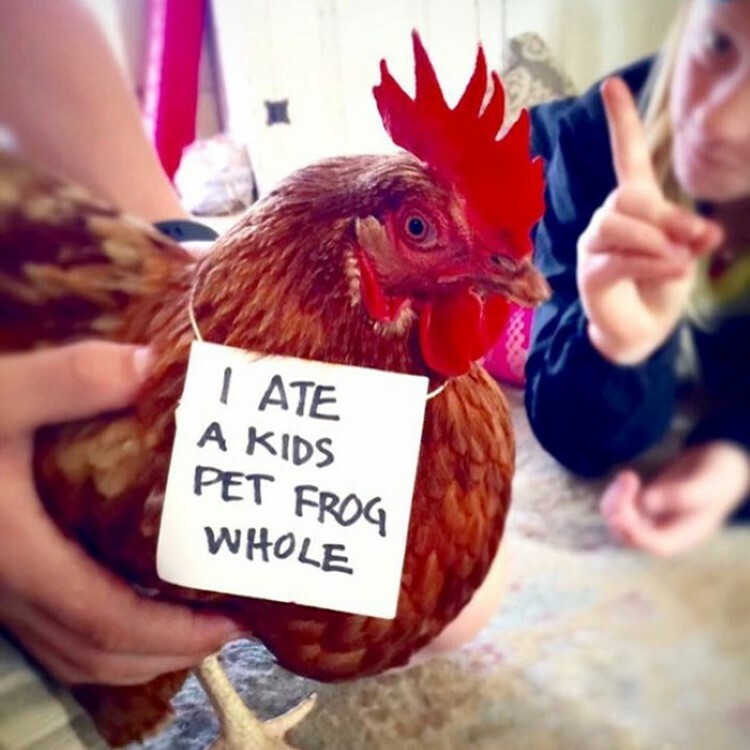 When they get caught with their hand in the cookie jar, so to speak, they get called out on it in the best way possible. 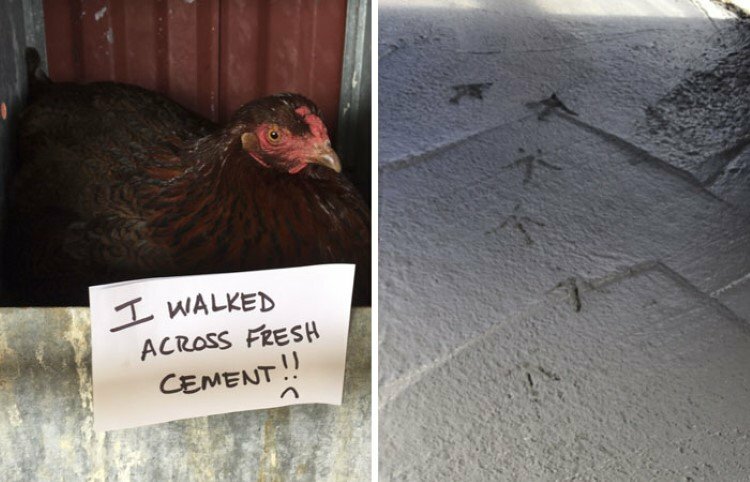 Take a look down through these pictures and you will have to agree that they are something to squawk over.